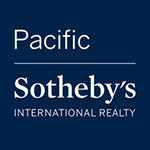 San Diego PREMIER Properties and Lifestyles is the only Luxury Homeowner’s Guide and Real Estate Magazine in this area that is dedicated 100% to you, the homeowner – from buying to selling, from upgrading to remodeling, we offer you all the latest trends in the real estate market and Home Design and Decor. Since your home is your biggest investment, we keep you updated on what is happening month-to-month in the market and compare what sold last month to what sold last year at this time and all the way back to 8 years ago. We tell you what is before the House/Senate (regarding you as homeowner) and what is being voted on that may affect you. We also supply you with the latest news in the mortgage industry. We answer all your questions and address all your needs regarding your home, we’re a one stop-shop for your BIGGEST investment! There is no other publication in San Diego that gives you all this, in one. 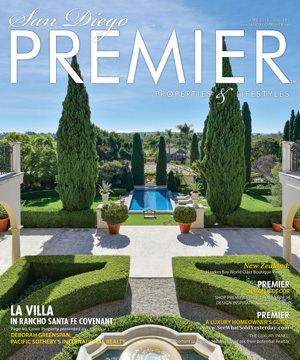 San Diego PREMIER Properties and Lifestyles is the only Luxury Real Estate Magazine in this area that is dedicated 100% to you, the homeowner – from buying to selling, from upgrading to remodeling, we offer you all the latest trends in the real estate market and Home Design and Decor. Since your home is your biggest investment, we keep you updated with our monthly editorial “The State of San Diego Real Estate”. This editorial gives you straight numbers of what is currently on the market, what is currently in Escrow and informs you of how long you can expect your home to be on the market before it sells (Yrs Supply). All this in one editorial for our top 11 areas in the county (in all price ranges): Rancho Santa Fe luxury Homes for sale, La Jolla luxury homes for Sale, Encinitas luxury homes for sale, Del Mar luxury homes for sale, Solana Beach luxury homes for sale, Carmel Valley luxury homes for sale, Coronado luxury homes for sale, Santaluz luxury homes for sale, The Crosby luxury homes for sale, Rancho Bernardo luxury homes for sale, Poway luxury homes for sale, Carlsbad luxury homes for sale. PREMIER also offers its readers a month-to-month in the market and compare what sold last month to what sold last year at this time. We even offer on our website “See What Sold Yesterday”, in case you don’t want to wait a full month to find out what a neighbor’s home sold for, in all these communities: Rancho Santa Fe Real Estate, La Jolla Real Estate, Encinitas Real Estate, Del Mar Real Estate, Solana Beach Real Estate, Carmel Valley Real Estate, Coronado Real Estate, Santaluz, The Crosby Real Estate, Rancho Bernardo Real Estate, Poway Real Estate, Carlsbad Real Estate. We tell you what is before the House/Senate (regarding you as homeowner) and what is being voted on that may affect you. We also supply you with the latest news in the mortgage industry. We answer all your questions and address all your needs regarding your home, we’re a one stop-shop for your BIGGEST investment! There is no other publication in San Diego that gives you all this, in one.